Lake Orta is the little sister of Lake Maggiore, separated by Monte Mottarone. Much, much smaller than the other Lombardy lakes, it may not just be size which has kept you from hearing of Orta, people who love the charm and serenity of this lovely lake are reticent to wax too lyrical about it, or the best places to stay in Lake Orta, for fear an increase of popularity may spoil what makes Orta special. Orta's lush mountain setting, fair weather and beautiful architecture are cut from the same cloth as her neighbours. There's a beautiful island in the lake's centre, sometimes shrouded prettily in mist. It is this mist, and the way that the light here seems to change almost constantly, which makes Orta seem most magical. Orta San Giulio is the main town, and amongst the best places to stay if you want to enjoy the gentle pleasure of the area's nightlife. Orta has around twelve hundred inhabitants, quite a number of whom can prepare excellent traditional Italian cuisine. The streets here are narrow and the buildings have a slightly faded elegance about them. There's plenty of excellent architecture: a bit of baroque, a 15th Century church on the hill, and a Romanesque basilica. Venture up the hill if you want an even more wonderful view. The land up here was made into a National Park in 1980, its greenery hides more lovely churches and chapels to explore. Wander through the pretty street in Orta San Giulio stopping at quaint cafes along the way. Take a boat to Isola San Giulio (the central island) that is achingly quaint. This island is beautiful to look out across to at all hours. By day its lovely terraces beckon and by night it's lit up so as to appear to be floating on air. Probably the largest structure on the island is the Benedictine monastery, which has a surprisingly opulent interior of frescoes and statues. Eat an al fresco dinner in the piazza in Orta San Giulio, looking out at the floodlit basilica on Isola San Giulio as the sun goes down. 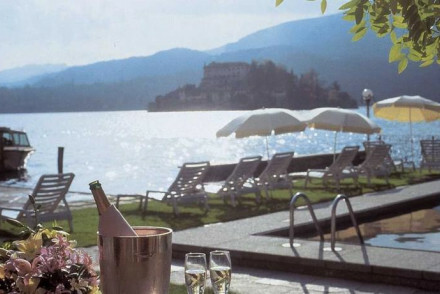 Despite the area's relative anonymity the best places to stay in Lake Orta do get booked up, especially during the peak summer months, so be sure to make your reservation early. 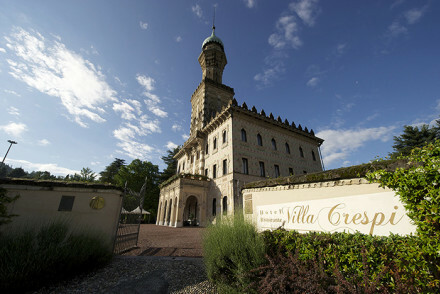 If you're here for the views one of the best places to stay on Lake Orta is the Vila Crespi. This wonderfully grand villa is an exciting place to approach, when you arrive you'll probably only have eyes for the views from the lovely terraces. The restaurant has two Michelin stars, so this is also a must for foodies. And the four poster beds, grand chandeliers and the rest of the traditionally opulent decor makes this ideal for honeymooners. Another top foodie destination - and this time a bit friendlier on the wallet - is the Hotel Il Giardinetto. This restaurant with rooms is right on the water. In fact its sun decks and terraces actually hang over the lake. With rooms starting from £69 per night, this is also incredibly good value. If it's total relaxation you're after, book the Hotel San Rocco. Once a convent, this hotel has retained its serenity during the renovation and now has a spa with a extensive menu. If you find the water relaxing there are excellent views of it from almost every room. Or you can hire a boat and enjoy it close up. For something contemporary and comfortable, one of the best place to stay on Lake Orta is La Bussola. Three stars with a lovely terrace restaurant and pool area, this is a great choice for families. Fly to Milan Malpensa airport, just 24 miles (40 km) from Lake Orta. Still not sure which is the best place to stay on Lake Orta for you? You could browse though our list of all the best places to stay on Lake Orta? Widen your search and look at all our recommendations in nearby Lake Maggiore? Or call, or email, one of our gurus for advice. Charming, traditional, cheaper than most. Wonderful rooms and suites have stone walls, private balconies, good sized beds. The highlight - rooftop gastro-bar, wine cellar and bistro. Very family friendly and affordable. Roof terrace - Fabulous gastrobar roof terrace. 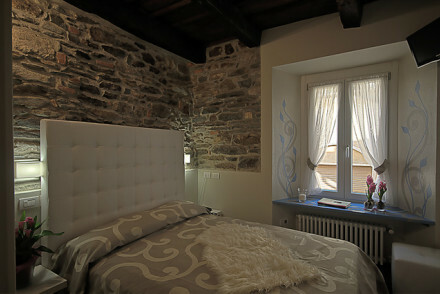 Located along a cobbled Piedmont lane provides a traditional stay in this historic town. 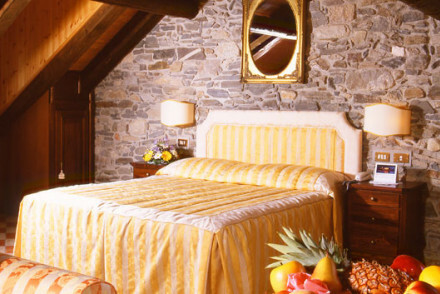 Bright rooms are decorated in yellows and period pieces with terracotta tiles, exposed stone walls and beamed ceilings. Local and continental food can be enjoyed indoors or in the sun. Do note there is no wifi. Sights nearby - Visit the Sacri Monti churches, a colleciton of 16th and 17th century churches. Sailing - Take a boat to San Giulio island and visit the Romanesque basilica. Great walks - Along the ancient footpath at the Sacro Monte. Fantastic restaurant with charming rooms on the water of Lake Orta. Gourmet food on romantic terraces, sun decks overhanging the lake, pastel rooms with wonderful views over the lake. A romantic choice for an authentic Italian break. A great Three Star hotel with an excellent terrace restaurant, swimming pool and gardens. 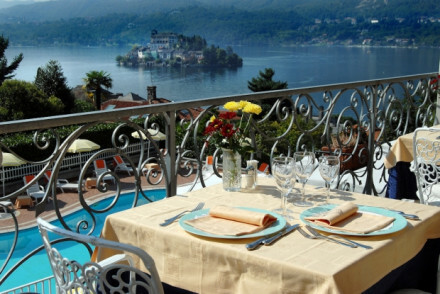 Stunning views over Lake Orta, large contemporary rooms and suites, and good meeting facilities. A great choice for a romantic and understated break. 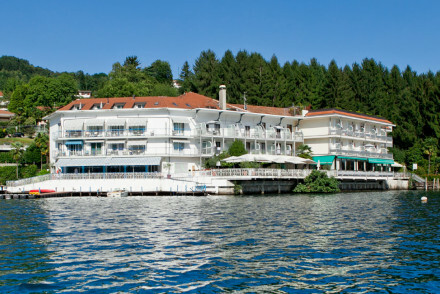 Renovated lakeside convent with a great restaurant, spa, and relaxing views. Rooms and suites in contemporary style have stand alone bathtubs, parquet floors, and white furniture. Extensive spa perfect for relaxation. A good choice for spa breaks with fabulous views. A glorious period villa with a fantastic restaurant and gorgeous gardens. Romantic bedrooms and suites have four poster beds, chandeliers, walnut floors and huge marble bathrooms. Stunning views over the lake from outdoor terraces. Very romantic, very good food.